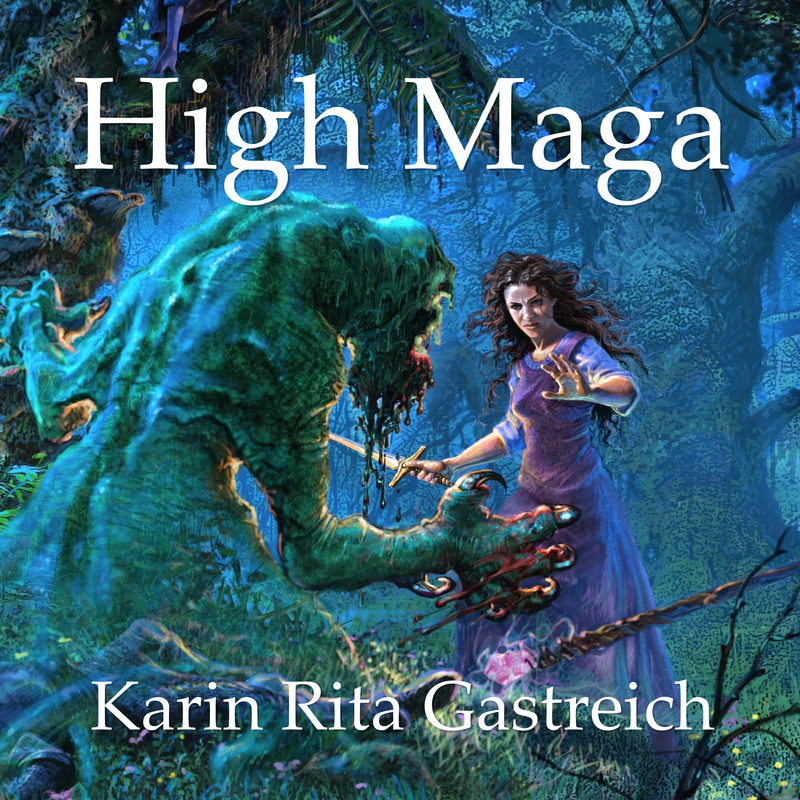 The cover of the audio edition of HIGH MAGA features the same spectacular art work by Thomas Vandenberg. I’m a little late on posting this news, but it’s true! You can now enjoy High Maga narrated by the extraordinarily talented Darla Middlebrook. Darla, who also narrated the audio edition of Eolyn, did an amazing job with this second novel, though it represents a much darker journey than its predecessor. I am so grateful to have had the opportunity to work with Darla again, and I couldn’t be more pleased with her work on this novel. Visit Amazon to listen to a free sample. You can purchase your copy from Amazon or iTunes. Even better – download it for free with a trial Audible membership. Shortly after the new year, I’ll be organizing a blog tour to celebrate this release. Stay tuned for that, as there will be activities, giveaways, and a series of posts that reveal the inside story on the writing of High Maga and the production of the audio edition. For those of you unfamiliar with the novel and its narrator, I’ve posted a blurb about both below. I hope you will consider purchasing the audio edition for yourself or for a friend. This is a great way to discover the adventure and magic of Eolyn’s world. Lands ravaged. Dreams destroyed. Demons let loose upon the earth. Eolyn seeks to escape the occupied province and deliver to King Akmael a weapon that might secure their victory. But even a High Maga cannot survive this enemy alone. Aided by the enigmatic Mage Corey, Eolyn battles the darkest forces of the Underworld, only to discover she is a mere path to the magic that most ignites their hunger. View High Maga on Amazon. 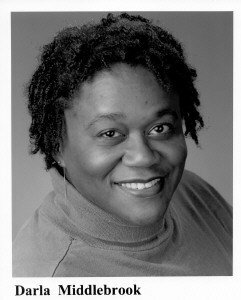 ​Currently, Darla is one of many voice actors who narrates podcasts for AIRS-LA (an audio internet service for individuals with visual challenges) in addition to narrating audio books. She is able to produce retail quality audio books from her home studio in Moose Jaw, Saskatchewan – Canada.